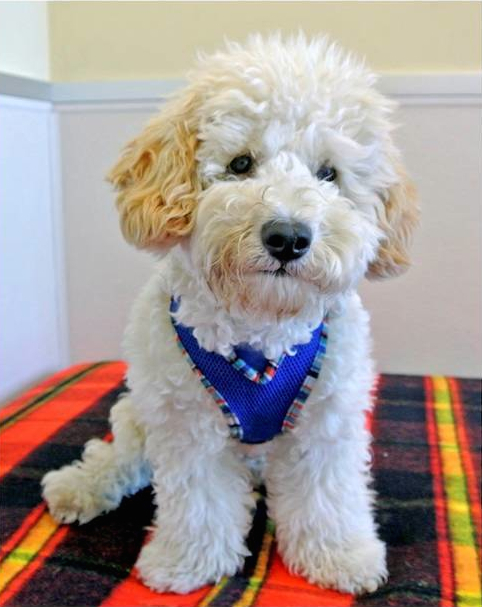 Humane Society Silicon Valley (HSSV) is an independent, 501(c)(3) non-profit animal shelter that has been serving people and pets for over 80 years. HSSV offers quality adoptions, affordable spaying/neutering, vaccinations and microchipping services, pet care services and education programs to enhance the human-animal bond. Established in 1929, HSSV has adopted more than 500,000 animals into permanent, loving homes. HSSV operates an open door shelter 24 hours a day, 365 days a year. Meet the lovely Cheechoo, as fine a canine companion as ever was. When he landed at Humane Society Silicon Valley a few months back, this 8-year-old pit bull mix was suffering from an epic flea allergy; his skin may have been in sad shape, but his sunny disposition and eternal optimism never wavered. As he healed up, he occupied his mighty brain by learning an impressive repertoire of skills in HSSV's obedience program—including excellent leash manners. Humane Society Silicon Valley (HSSV) has announced their Call for Mutual Rescue™ Stories, a national initiative celebrating the extraordinary healing power that animals impart to people through adoption and rescue. Free Fixes for Chihuahuas & Chihuahua Mixes!